Tis the season to celebrate your pet and what better way then to hang an ornament of your beloved family member on holiday tree. 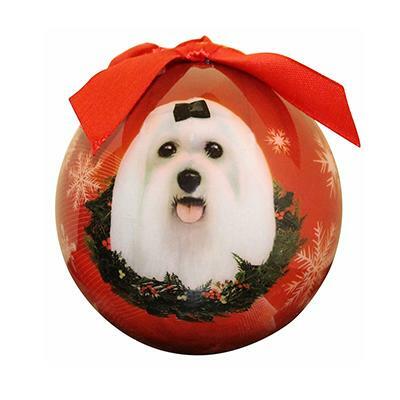 Each ornament sports a specific breed of dog or cat with assorted background colors and all are shatterproof. Every ornament has a ribbon tie on for easy hanging ability helping it become a great addition to the most wonderful time of the years' festive decorations.